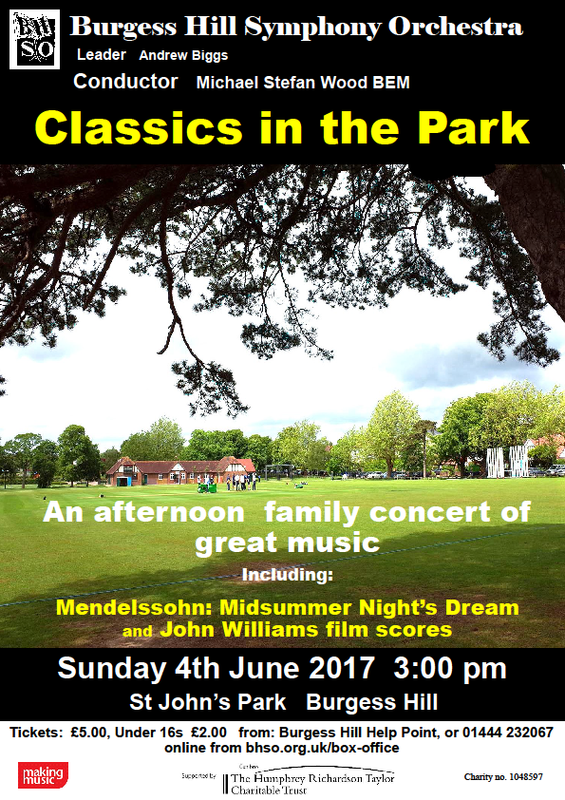 On Sunday 4th June 2017 the orchestra performed favourite pieces in the Summer Festival marquee in St. John’s Park, Burgess Hill. This is a very relaxed concert, with light and bright music perfect for a summer’s afternoon. The concert will start at 3pm.